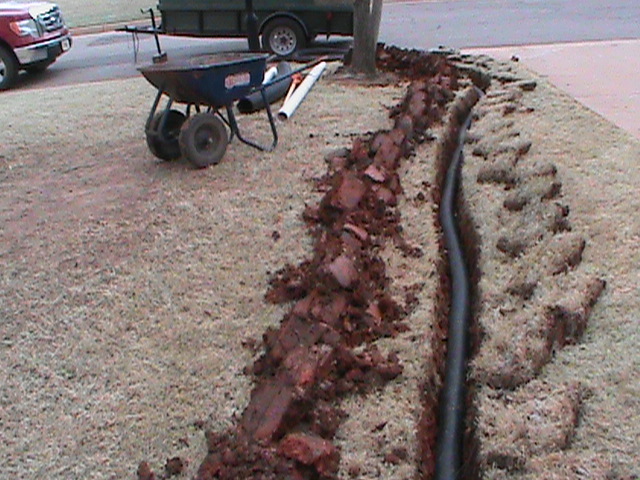 Our most recent job was a Sprinkler Installation on Castle Rd in Edmond. It was a small Sprinkler System with a Rain/Freeze Sensor. The customer will never have to worry about the sprinkler system running when it is raining or too wet to water and no-one is home to turn the Sprinkler Systemoff. I think no new Sprinkler System should be without a Rain/Freeze Sensor. They definitely pay for themselves. 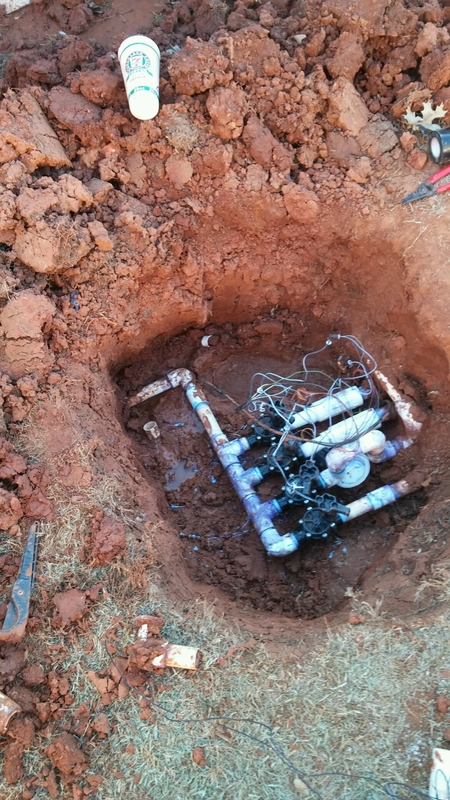 CMG Sprinklers and Drains – can help if you need to re-design your sprinkler system. If for example you are adding a swimming pool in your back yard, we can move the sprinkler headsand sprinkler pipesto fit the new dimensions of your yard. 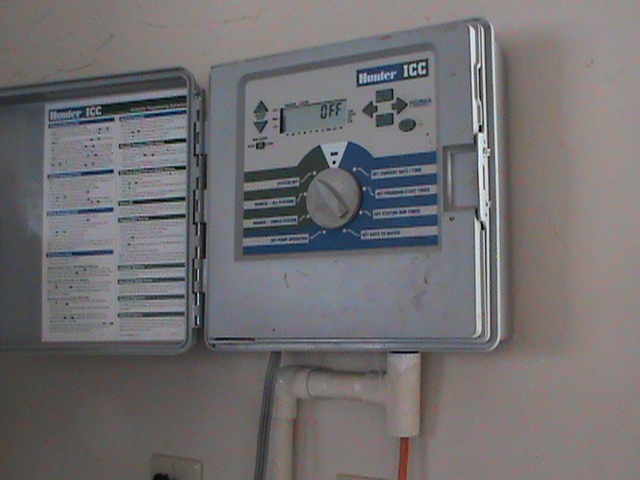 We can redesign or add-on to sprinkler systems where the home owners needs change. 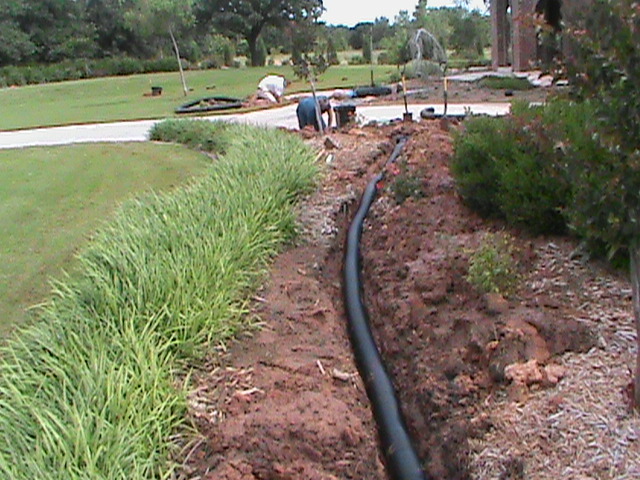 CMG Sprinklers and Drains designs and installs Drainage Systems. 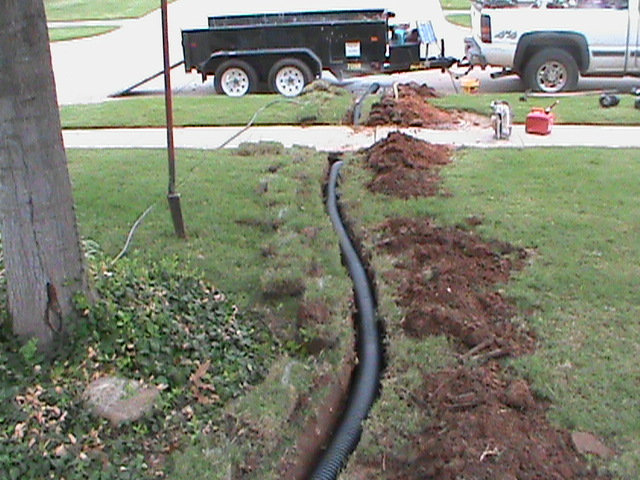 Water Drainage is very important to home owners and small businesses. Standing Water can cause all kinds of problems. 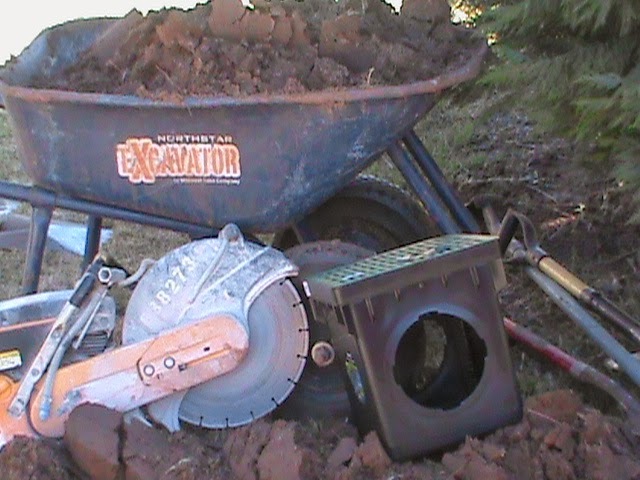 Concrete in driveways, sidewalks, and foundations can be damaged. Prolonged Drainage Problemsallow mold to occur along with deterioration to plants, trees, and property.